Meet the new Sampler: manipulate pitch, time, and the two in combination, either together in a traditional fashion or independently as a digital wavetable or granular instrument. Those modes on their own aren’t new, but this is a nice way of combining everything into a single interface. “Repitch” / Speed + pitch together: The traditional sampler mode, with negative speeds, too (allowing it to behave the way a record player / record-scratch / tape transport does). “Textures” / Granular resampling / independent pitch and speed: Granular resynthesis divides up the sound into tiny bits allowing independent pitch and time manipulation (in combination), and textural effects. Independent speed, grain size, and grain motion (randomization) are all available as parameters. 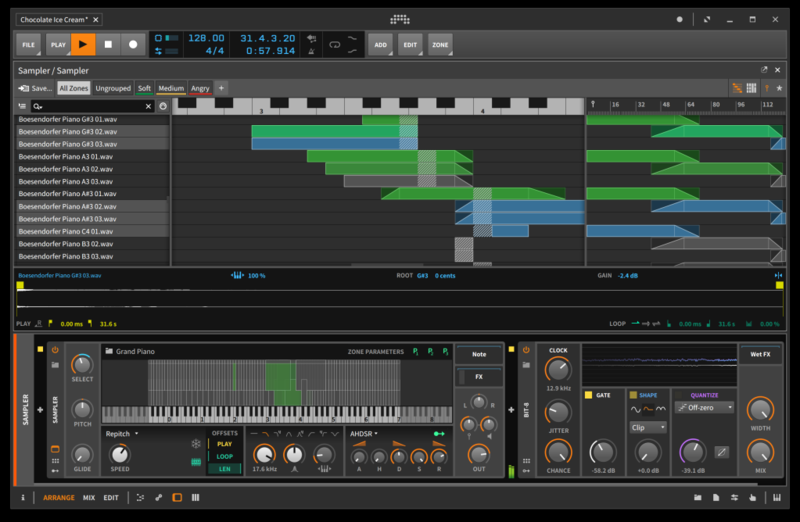 Freeze: Each mode lets you directly manipulate the sample playhead live, using a controller or the Bitwig modulators. That emulates the position of a needle on a record or playhead on a tape, or the position in a granular playback device, depending on mode – and this is in every single mode. Oh. Okay. Yeah, so those last two are to me the way Ableton Live should have worked from the beginning – and the way a lot of Max, Reaktor, Pd, and SuperCollider patches/code might work – but it’s fantastic to see them in a DAW. This opens up a lot of live performance and production options. If they’ve nailed it, it could be a reason to switch to Bitwig. 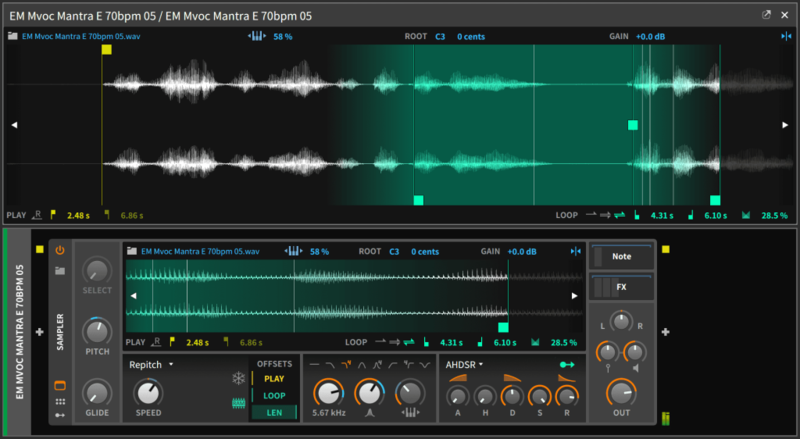 Updated Multisampler Editor: Bitwig’s Sampler already had multisampler capabilities – letting you combine different samples into a single patch, as you might do for a complex instrument, for instance. Now, you can make groups, choose more easily what you see when editing (revealing samples as you play, for instance), and set modulation per zone. There’s also ping-pong looping and automatic zero-crossing edits (so you can slice up sounds without getting pops and clicks). Multi-sample mode lets you work with zones in new ways, for more complex sampling patches. ParSeq-8 is a step sequencer for modulation. 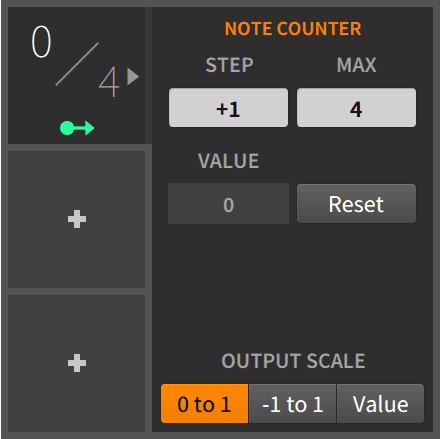 Also in the modulation category, there’s a Note Counter — count up each incoming note and create cycles of modulation as a result. 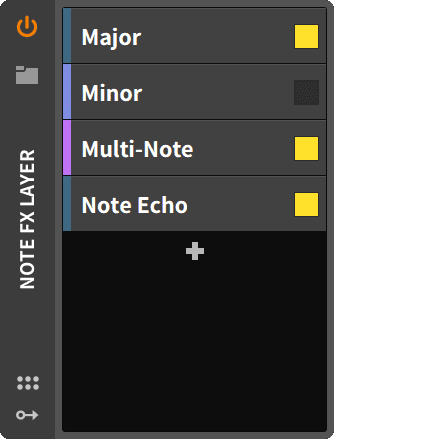 Bitwig has been moving forward in making it easy to map hardware controls to software, even as rival tools (cough, Ableton) haven’t advanced since early versions. That’s useful if you have a particular custom hardware controller you want to use to manipulate the instruments, effects, and mixing onscreen. Now there’s a new visualization to give you clear onscreen feedback of what you’re doing, making that hardware/software connection much easier to see. Visualize controllers as you use them – so the knob you turn on your hardware makes something visible onscreen. There’s also MIDI channel support. MIDI has had channels since the protocol was unveiled in the 80s – a way of dividing up multiple streams of information. Now you can put them to use: incoming MIDI can be mapped and filtered by channel. That’s … not exciting, okay, but there are dedicated devices for making those channels useful in chains and so on. And that is fairly exciting. MIDI channel support – essential for working with MIDI, but implemented here in a way that’s powerful for manipulating streams of control and information. Looks like a great upgrade. Beta testing starts soon, to be followed by a release as a free upgrade for Upgrade Plan users this summer.